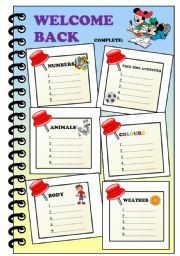 This is a good way to review vocabulary after summer. 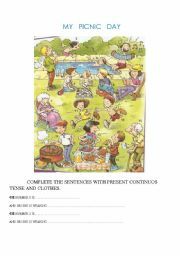 Complete activities focus on: have got/physical appearance/jobs/favourites and gramatial structures. 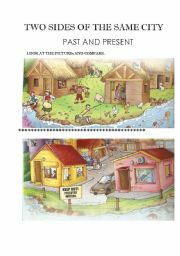 A complete lesson plan of the city with 2 sides of the same city.You practice have got, can,present simple, past, future and so on.Enjoy it. 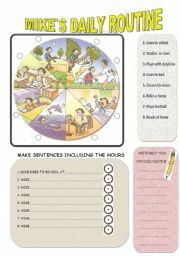 WS ABOUT DAILY ROUTINE AND HOURS. 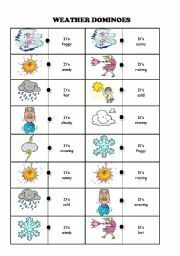 Cut, paste and learn with this dominoe about weather. 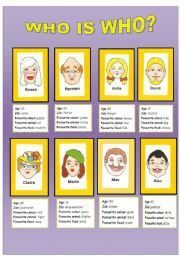 It´s an attention WS ,looking the picture.It´s ideal WS for young learners or special pupils.I hope you like it!! 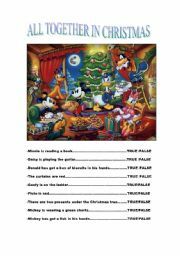 Funny picture of disney characters.You have to write true or false about the christmas picture. 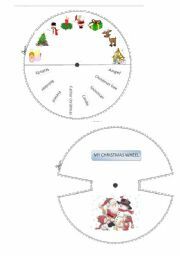 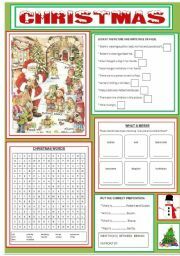 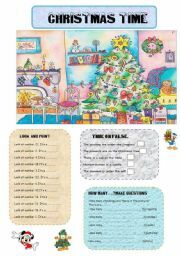 Practice christmas vocabulary with this wheel.